You are here: Home > News > UAH Success in Reversing Flawed Planning Decision. The High Court ruling raises questions over awareness of local & central government departments with regard to the value of our built heritage, & adequate application of policy for its protection. 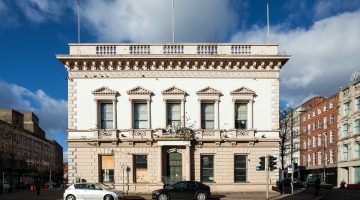 In a Judicial Review taken by Ulster Architectural Heritage, represented by Nicholas Quinn of O’Muirigh Solicitors, heard in the High Court, Mr Justice McCloskey ordered that Belfast City Council quash their Planning Committee’s decision to approve the demolition of the last remaining historic buildings in Upper Queen Street. 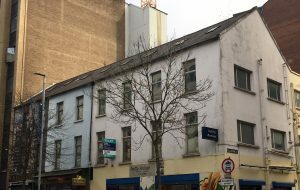 The judgement confirms that the buildings, which date back to around 1860 and are within Belfast City Centre Conservation Area, were not properly assessed regarding planning policy relating to their Conservation Area status. The judgement reflects the well-publicised, and also successful, Judicial Reviews taken some years ago by UAH against the Department of Environment, which resulted in the saving from demolition of the nearby Athletic Stores/Swanston’s Warehouse. Given the prominence of the Athletic Stores judgements and the building’s subsequent redevelopment for student accommodation and given the obvious visual and cultural benefit delivered through the retention of the City’s built heritage, it is very worrying that NI Councils who now carry responsibility for planning, (and agents who act for applicants) appear in some cases to still be unaware of the full extent of protection for our irreplaceable heritage building assets. This is reflected in a number of the new Local Development Plans currently being produced by the eleven local councils, and the current draft Programme for Government, where the value of the heritage asset is given scant attention compared to the promotion of what now is emerging as a flawed and out of date vision for town and city centres. The proposed Debenhams closures announced today further serve to undermine these failed retail models. The Upper Queen Street buildings, just as in the Athletics Stores case, will now be subject to a number of very specific planning tests if a further application is submitted. UAH also hopes that a proper dialogue will initiate, realising that the value of heritage buildings to the individuality of our town and city centres is a key component of their future economic viability. UAH would like to thank O’Muirigh Solicitors, and in particular Nicholas Quinn who acted for UAH in this case.